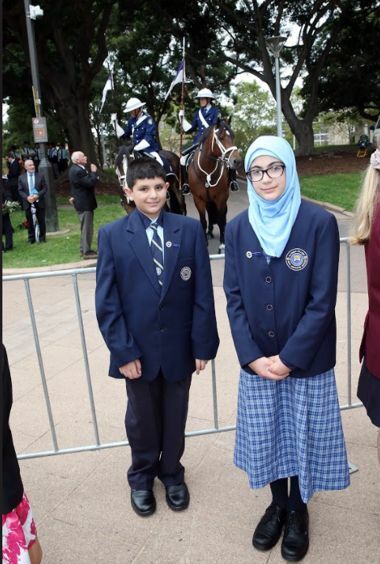 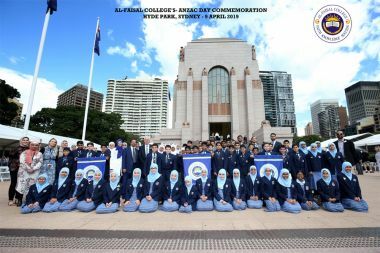 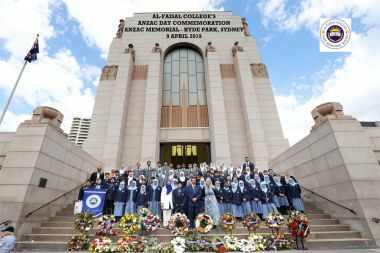 Al-Faisal College in Auburn celebrates "ANZAC"
Sydney - M E Times Int'l: Al-Faisal College in Auburn is a successful educational institution in Sydney, due to its wise and capable management under the supervision of its Director General Shafiq Rahman Abdullah and the College Principal Ghazwa Adra Khan. 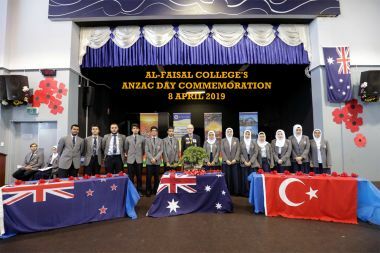 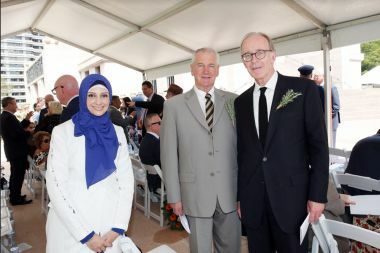 On the occasion of the "ANZAC" anniversary, which is in several days, Al Faisal College held a celebration on this national occasion, attended by political, military, diplomatic and media personalities as well as media. 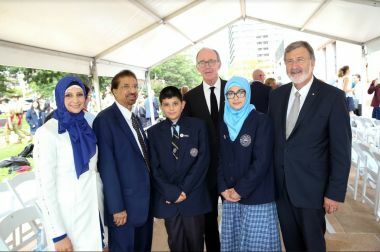 the Consul General of Egypt, the Consul General of Turkey, a representative of the Saudi Ambassador to Australia, Mr. Anwar Abdul Aziz Al-Suli, the Consul General of Fiji, the retired Major General Wall Glenn, the Vice-President of Cumberland Council, representing the Mayor, the Editor-in-Chief of the Middle East Times International, as well as a number of representatives of banks and businesses. 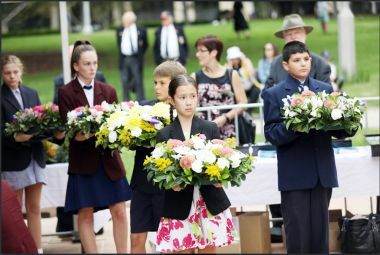 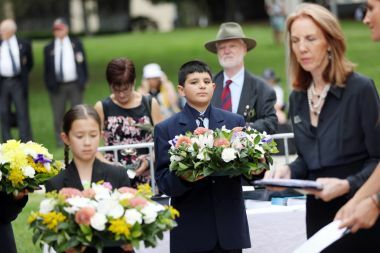 The speeches that were delivered focused on the importance of the Anzac and its symbols and sacrifices for Australia and its people. 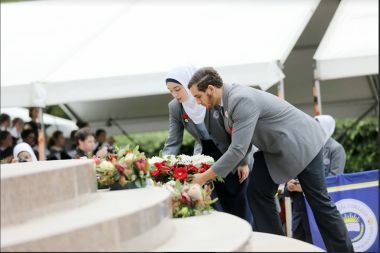 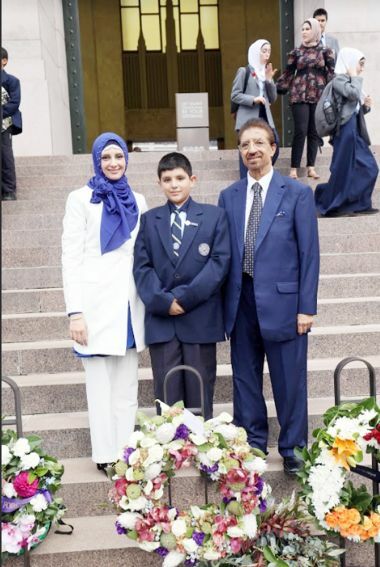 The ceremony featured national songs by Al-Faisal College students and placing wreaths of flowers in respect and reverence for veterans. 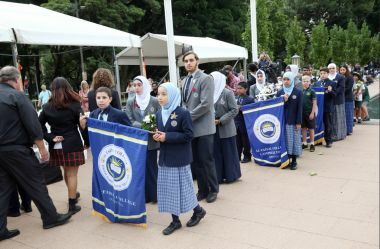 The ceremony, which had a good and moving impact on the students and participants, ended with the Veterans anthem, a minute of silence and the Australian National Anthem.